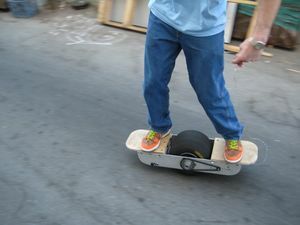 Onewheel inventor and chief engineer Kyle Doerksen spent 8 years designing consumer and technical products at IDEO a global design and innovation firm. He holds multiple engineering degrees from Stanford University. 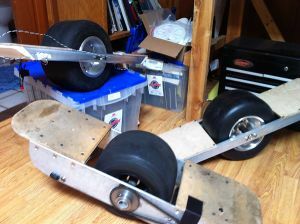 Kyle Doerksen works on an early Onewheel prototype. 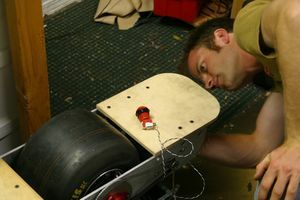 Notice the handheld controller; this was the precursor to the footpad sensor and was used to engage the self-balancing mechanism, not to control speed. Riding an early Onewheel prototype.